After discontinuing the relationship with my prior publisher, I self-published this edition. It sports several updates and improvements in the study itself, as well as a new smaller size and better graphic design inside. In this Bible study, you will read about women described in the Gospels, but this is not another book about the women of the Bible. You will also read about women in nontraditional roles, but this is not a treatise on feminist issues. This is a book about Jesus. It’s about what can be learned about the Son (and the Father) through his many interactions with women during his ministry. Some of the women he encountered were faithful disciples; many were not. They included women who were chronically ill, a woman who had been married and divorced several times, single women, a prostitute, a Gentile woman with a sick child, a woman caught in adultery, a destitute widow, and a woman grieving for her dead son. Not many of them could be called role models. Individually, each is a touching and meaningful narrative, but when combined they present an inescapably clear image of the nature of Jesus. His compassion, gentleness, and sensitivity are unmistakable toward even the most battered of women’s hearts. And the character of God is reflected in his face. In each week’s study, you will be encouraged to get into the Word and read passages from the Gospels. You will be asked to think about who these woman were and what they saw and heard when they encountered Jesus. At the end you will bring together all these experiences and create a list of the Top Ten Things Jesus Never Said to a Woman. You can download a free sample chapter on Mary and Martha: “Such Devoted Sisters”. Now that some of my time is freed up, I will be blogging more again. 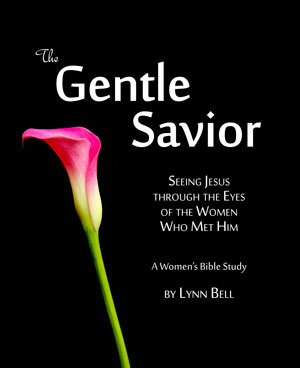 I found some great new material on the women disciples of Jesus that I want to share with you in the coming weeks. I’m also thinking about an interesting chapter on relationships between black women and white women that I read recently in a book by bell hooks. I want to explore that issue some to see if and how it affects attitudes among sisters in Christ.